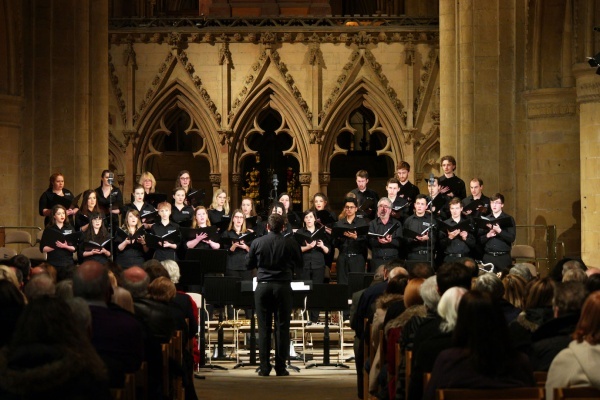 Enjoy a celebration of music by eminent British choral composer John Rutter, in the beautiful surrounds of Southwell Minster on Saturday 9th March, 7.30pm. See the award-winning Nottingham Trent University Chamber Choir and English Pro Musica orchestra perform a selection of Rutter’s best-loved works, including his famedMagnificat. The programme also features Suite Antique, played by guest flautist Clare Preston and string orchestra. Tickets: £14 - £17 available to purchase from The Cathedral Shop and online at www.ntu.ac.uk/magnificat.